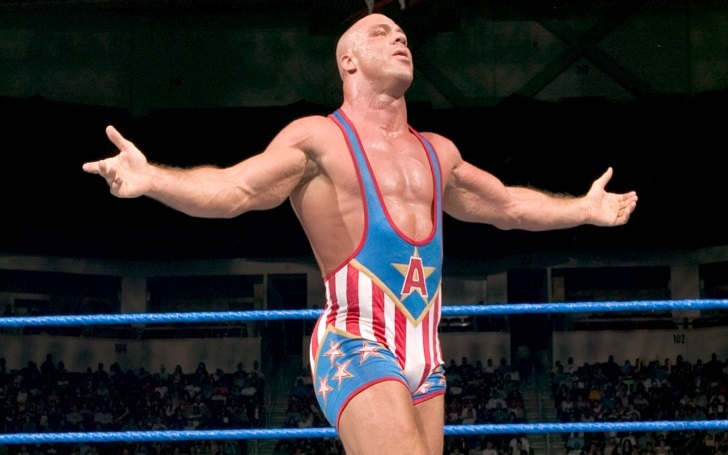 Kurt Angle talked to fans! The 49-year-old professional wrestler had another fan Q&A on his official Facebook and gushed on working with previous opponents, what his PPV would look like, and his prediction for the Men's Elimination Chamber. Here we brought some of the highlights, check them out. All three were different but they were all exceptional. Brock was the best chemistry. Austin was the most intense. HHH had impeccable psychology. I enjoyed all of our matches. But Brock was easier to work with because of our backgrounds. They're all good enough for a title run. That's tough. Cena needs it the least. I think Roman has proven to be the new face of WWE so I'm not sure he needs it. Braun is unbeatable so he seems to be in a good spot and doesn't need title. Miz is the top heel and very established, so he doesn't need title. Finn would be a good surprise. Elias is off to a great start, but most likely not ready for main event at WM...probably will be by next year. Seth could very well be the best on the roster. I'm a big fan of Seth. Another long title run is coming soon for him. So I'd say Finn Balor could very well rise out if this with a much NEEDED shot at the Universal Championship. My opinion only! All Iron Man matches. 5 of them. Women's. 205. Tag Team Championship. Intercontinental Championship. Universal Championship. All wrestling. No gimmicks. It would be long/boring after 2 or 3 matches, but if you really love wrestling, it would be incredible!